The Conditions of Love is an engaging story written in a lyrical style. It’s a stunningly self-assured novel for a debut, and it leaves the reader hoping that Kushner will write a second. Kushner’s scenes, like her characters, are expertly sketched, vivid and memorable. . . . Engrossing to the end, this is a fine first novel. Kushner deftly captures Eunice in all her awkward years as well as her adult relationship with Fox. The setting—small-town Midwest—means that Eunice remains almost untouched by social and political events of the 1950’s and 1960’s. Instead, the period comes out in the small details…This is a beautifully written book, demanding time and attention. Kushner has a divine understanding of the ties that bind people in relationships. The Conditions of Love is rife with truths about man’s equally selfish and selfless need to experience love in its many forms. . . . Kushner’s writing consists of equal parts reverence for the human condition and sympathy for the pain that is a necessary part of that condition. This novel is an engrossing read and difficult to put down. Kushner seems to have taken more than a few lessons from Joyce Carol Oates about both crafting a novel with a broad scope and putting female characters through the wringer. 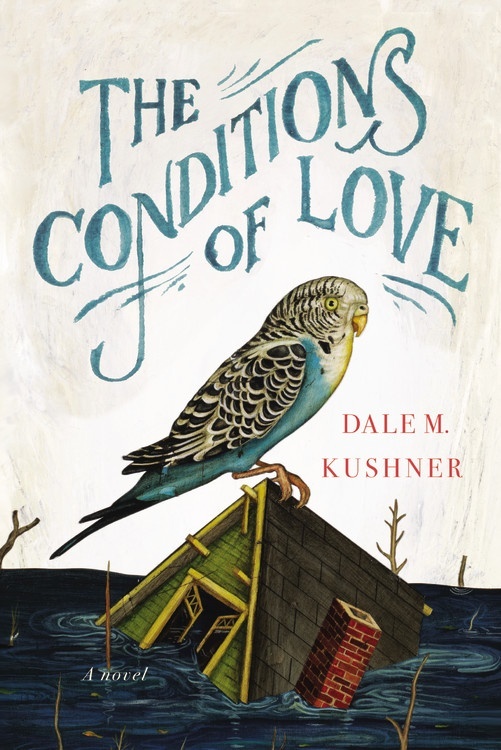 It’s a tribute to Dale Kushner’s talent that in her debut novel, The Conditions of Love, she can pack so much emotional reality in so few words: maternal narcissism in a sentence, family dysfunction in a paragraph. The paperback edition of The Conditions of Love was published on May 6. You can order it now at Amazon, Barnes & Noble or Indiebound.